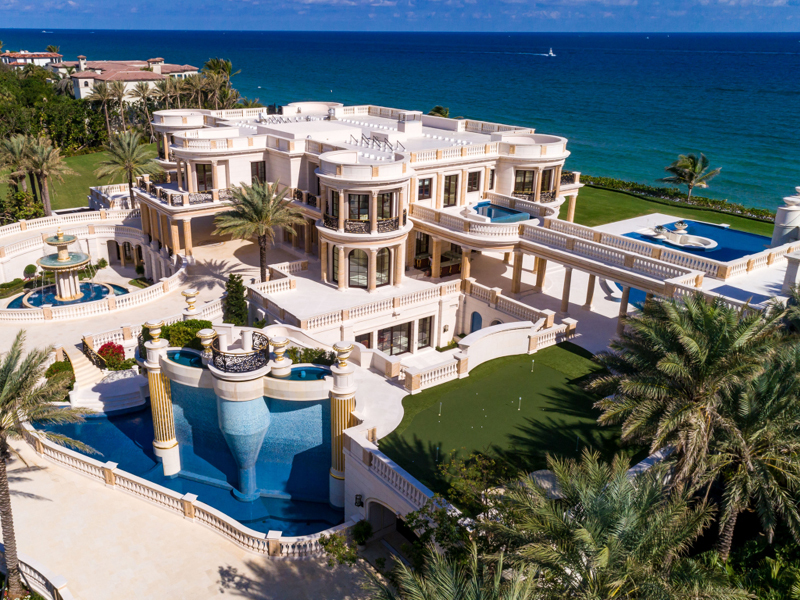 From a $250 million mansion in Los Angeles to a Versailles-inspired palace in Florida, these are some of the most overly extravagant homes. Some homes around the world cost millions of dollars but struggle to find buyers because of their unique decor. 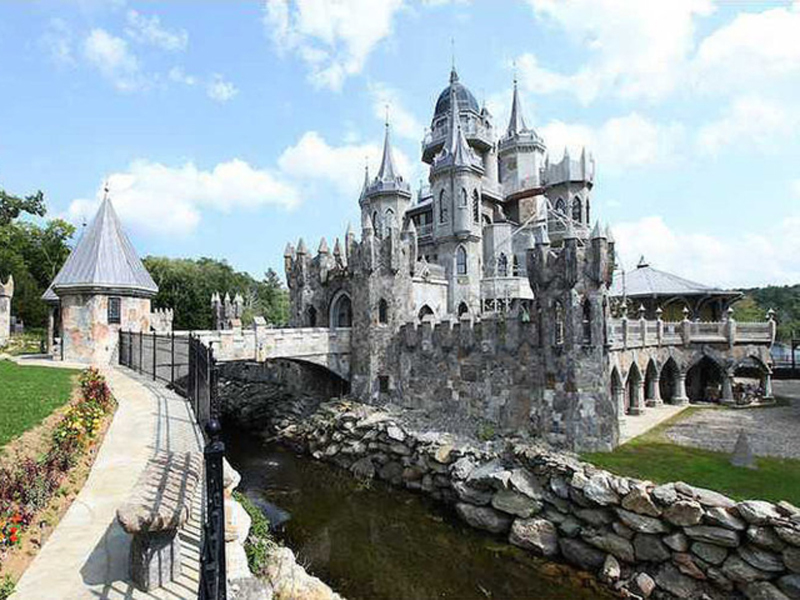 In Connecticut, there is a home that's modeled after a castle - and it has its own moat. 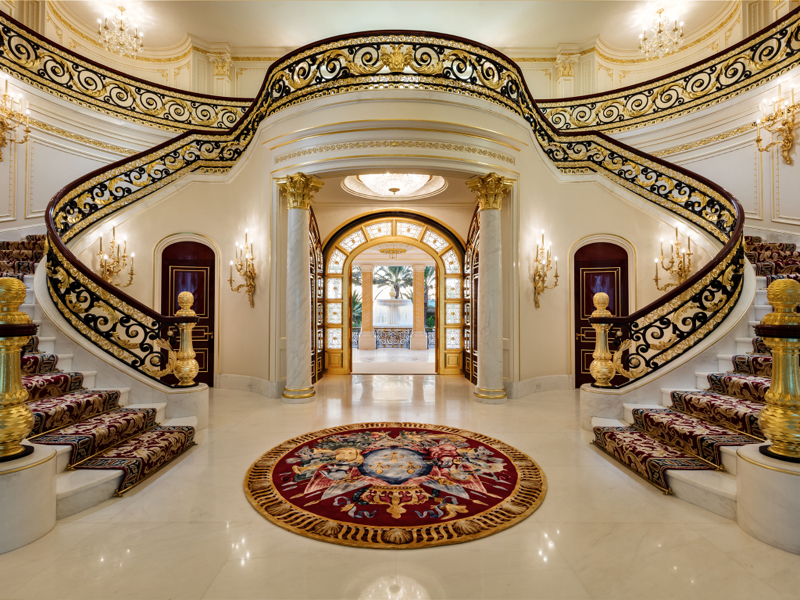 Down in Florida, there is an overly grand mansion that was inspired by the Palace of Versailles. 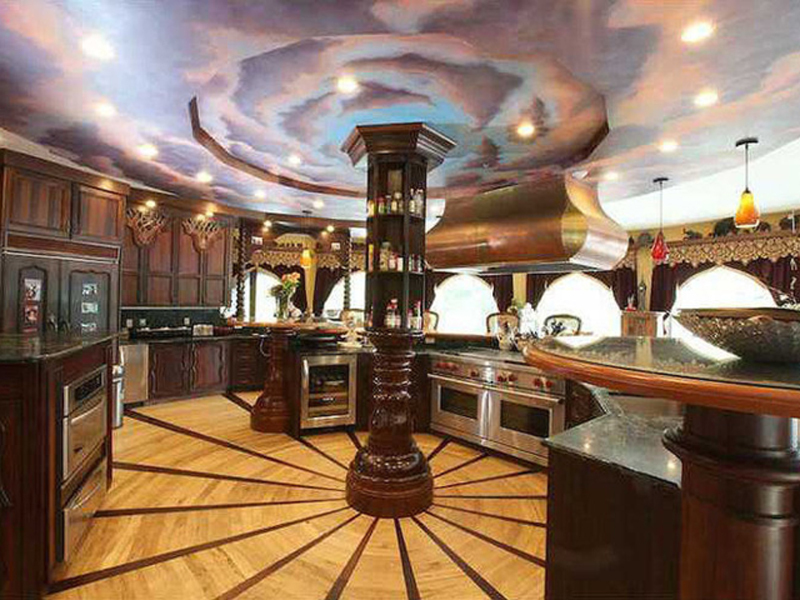 Other wildly extravagant homes can be found in Los Angeles, China, and Indiana. Not all mansions are created equal. Though most mansions cost well into the millions, it doesn't mean they're desirable. Builders, architects, and homeowners all over the world have made some pretty questionable choices when building their dream homes. 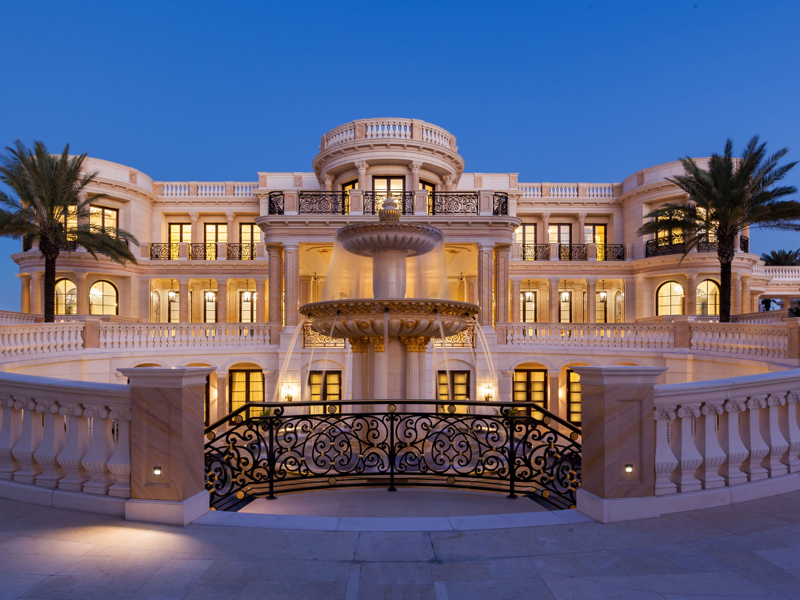 Playa Vista Isle is a mansion in Florida that was inspired by the Palace of Versailles. The mansion went on the market for $159 million dollars but sold for $42.5 million, making it one of the most expensive homes in the country. 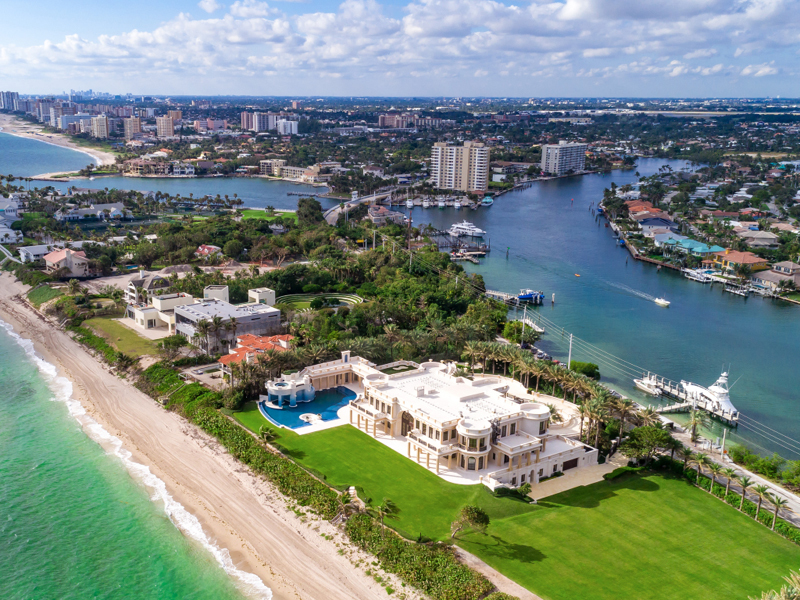 The mansion sits on Florida's famous strip of homes known as “Millionaires’ Mile,” adjacent to the Atlantic Ocean. The home is nestled between the Atlantic Ocean and Intracoastal Waterway, giving it beautiful water views from every inch of its 5-acre property. The home features 30,000 square feet of lavish decor and extravagant finishings. The front door of the home is 12 feet high and made of 22-karat gold. The lavish decor continues inside the home where the staircase is made of South African marble. The family room is lined with mahogany and even has a saltwater aquarium. The family room also has a 3D television. 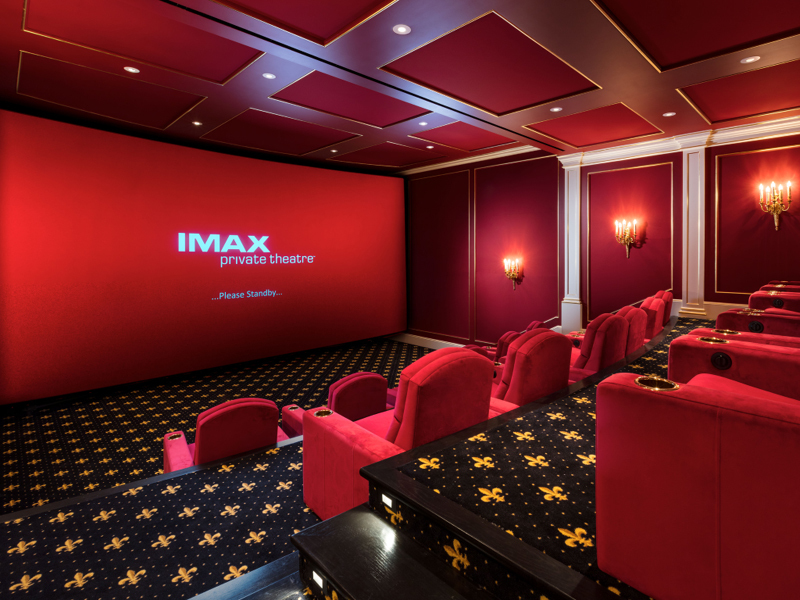 But, the home's real entertainment is in the 3D IMAX theatre which fits 18 people. 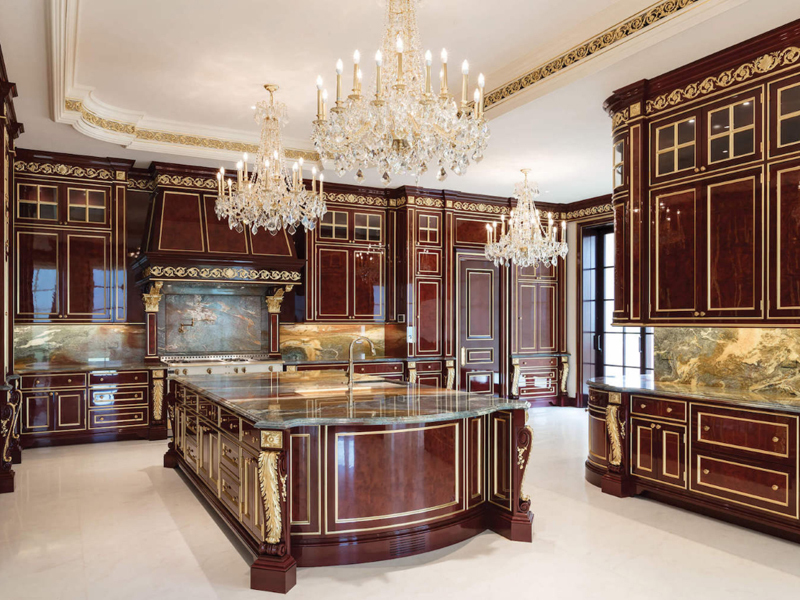 The lavish kitchen is made with mahogany wood and accented with gold leaf gilding. The three chandeliers are an added touch of grandeur. 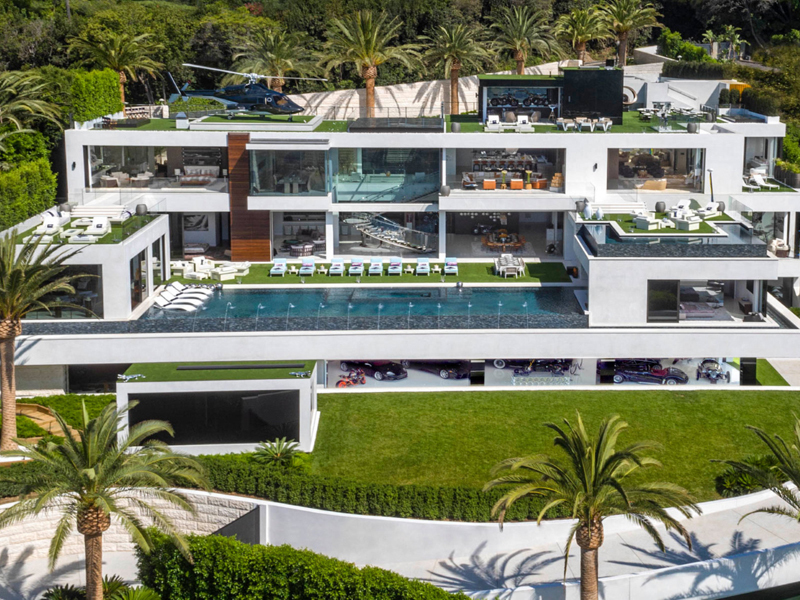 In Malibu, California, there is another lavish home inspired by French architecture, which went on sale for $135 million. The lavish home has plenty of amenities, including a 155-foot infinity pool, two tennis courts, and a 10-car garage. On the 5-acre property, there are 12 bedrooms and 24 full bathrooms. In all, the home is 38,000 square feet large. 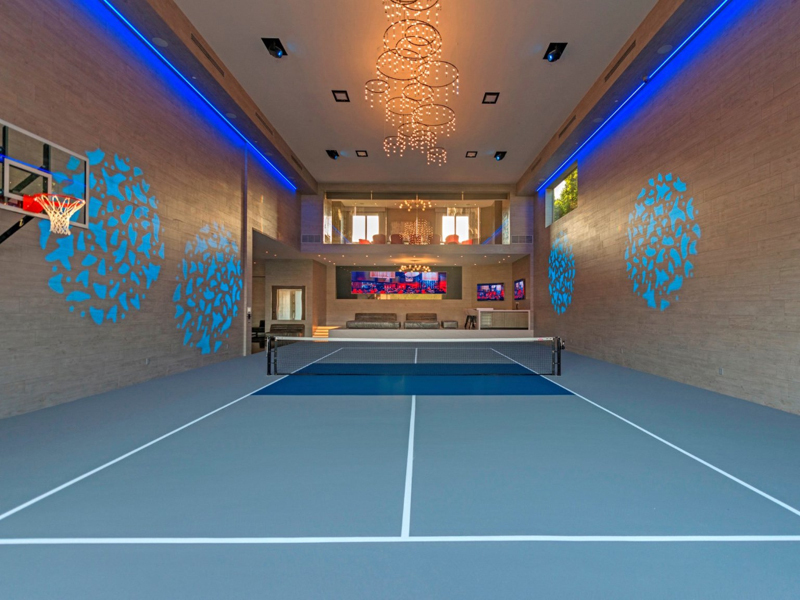 The home has its own sports complex, which houses a gym, a basketball court, and a boxing ring. The home also has a sports lounge and bar for the more relaxed guests. 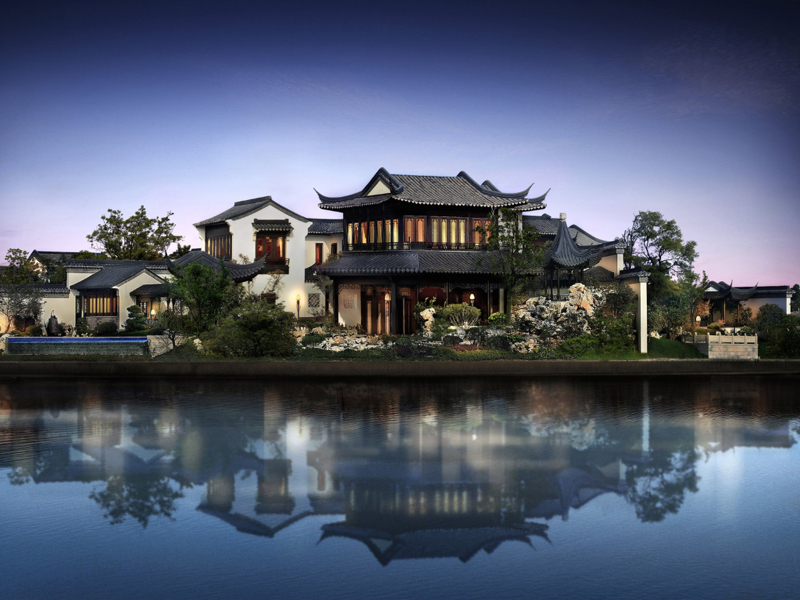 In China, one of the most expensive homes ever sold cost $149 million, and it's ridiculously lavish. 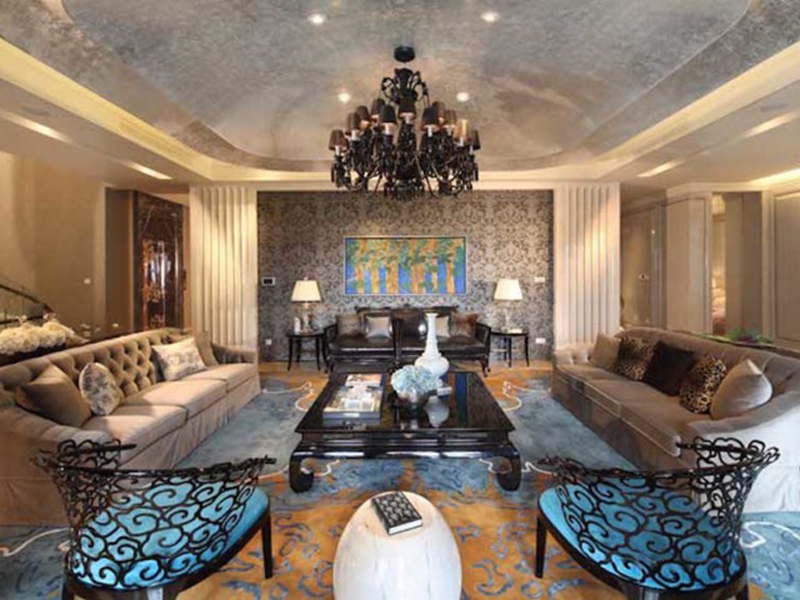 The home cost a shocking 1,000,000,000 Chinese Yuan which is about $149 million dollars. The official name of the estate - which sits on a private island - is Taohuayuan, and it translates to "Utopia." The home has 32 bedrooms and the same number of bathrooms. The house is a whopping 72,441 square feet and has 1,663 acres of land. Each brick of the house has been handcrafted. The home's real extravagance can best be seen in its landscaping. 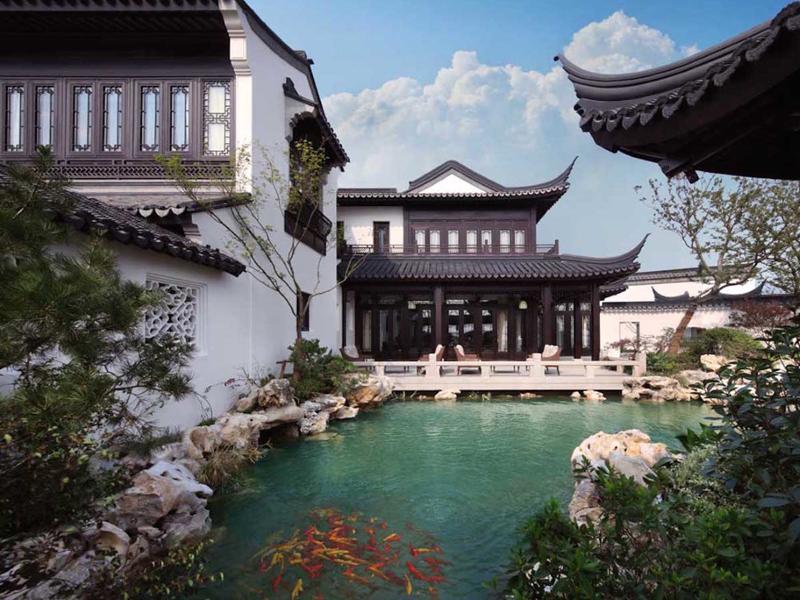 The gardens are a knockoff of the Classical Gardens of Suzhou, a UNESCO World Heritage Site. The grounds also have a swimming pool and multiple courtyards. In Connecticut, there is an elaborate 20-room castle that has a moat, towers, and stone walls. Chrismark Castle took seven years to construct and cost about $4.1 million. 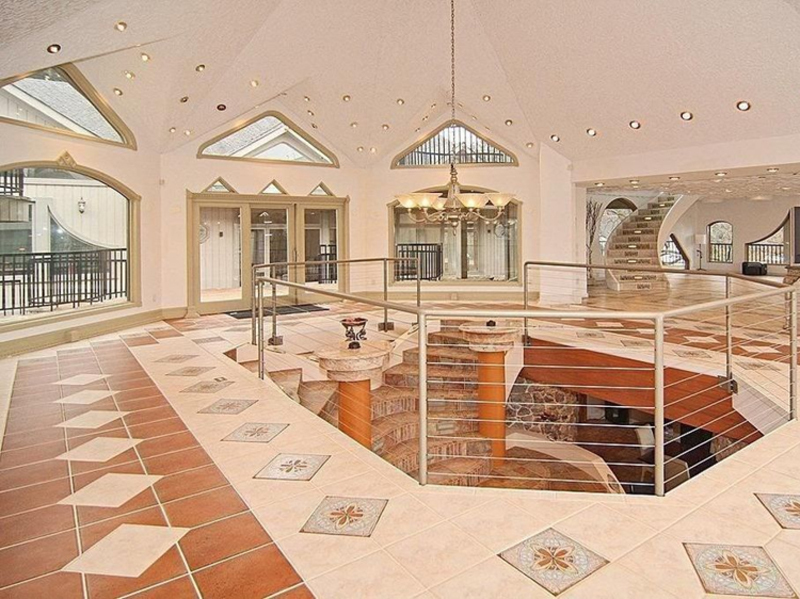 The strangely detailed castle has 20 rooms, three floors, and an oversized garage. Chrismark Castle's kitchen is a circular homage to the castles found in Europe. The kitchen has sweeping views of the castle's 354-acres. The gothic design flows throughout the house, even in the bedroom. The home also houses a library, a pool, massage rooms, and 12 fireplaces. 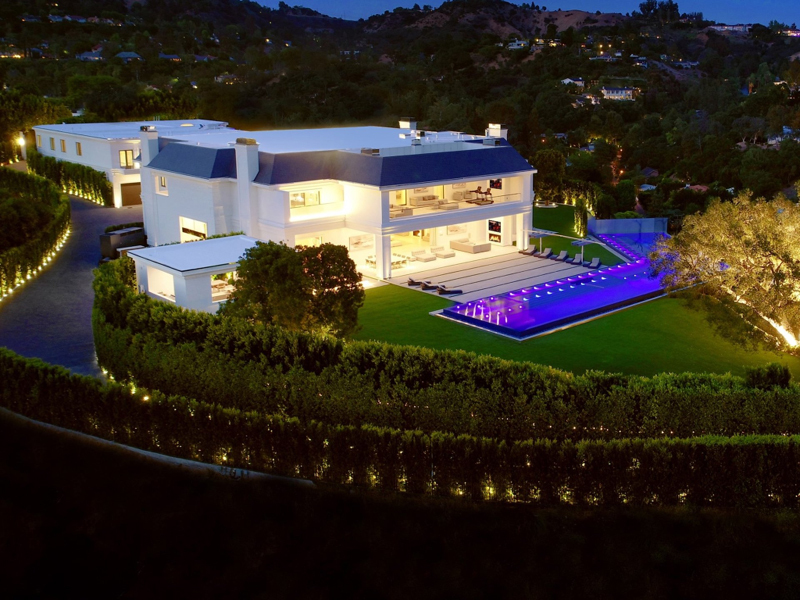 A mansion in Bel Air was listed for $250 million in 2017, making it the most expensive listing in the history of real estate in the US. The price was for good reason, though. The mansion has several floors, covering 38,000 square feet. 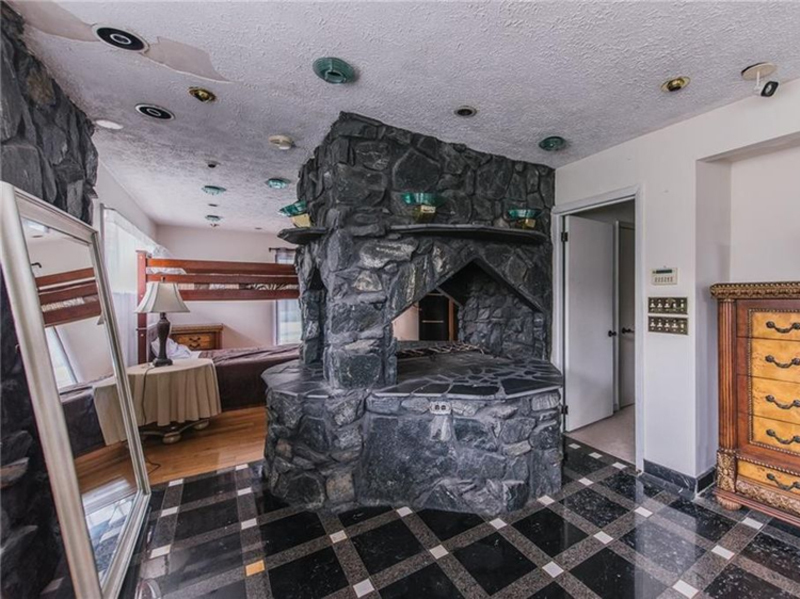 The home comes with a helicopter that was decommissioned from the '80s show "Airwolf." 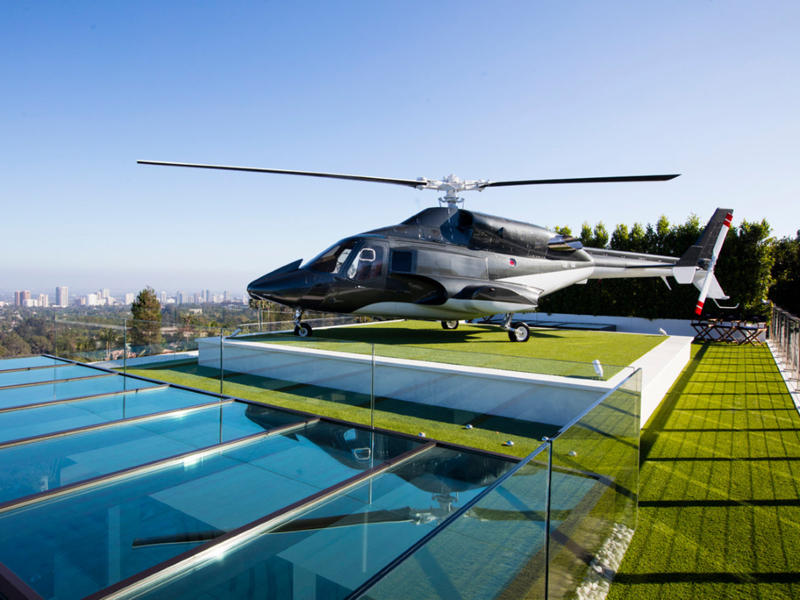 The helicopter is not operational, but it is included in the listing price. 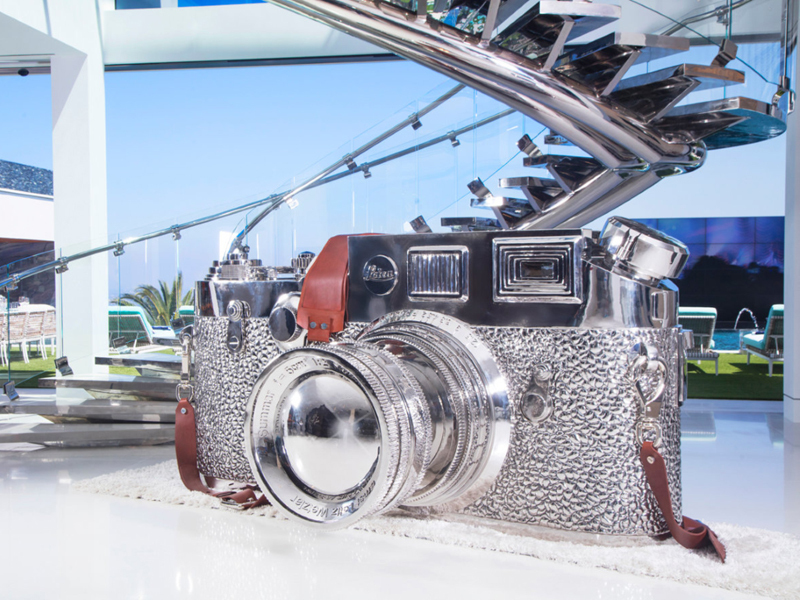 Inside the home, there's also a giant, bedazzled sculpture of a camera that is valued at $1 million. 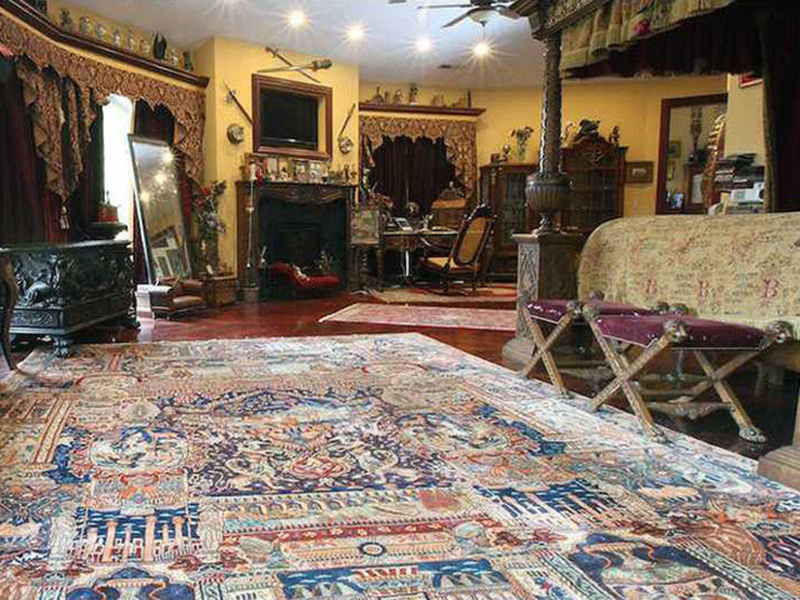 The Bel Air mansion is known for its eccentric and wildly expensive decor. There's also a VIP area. 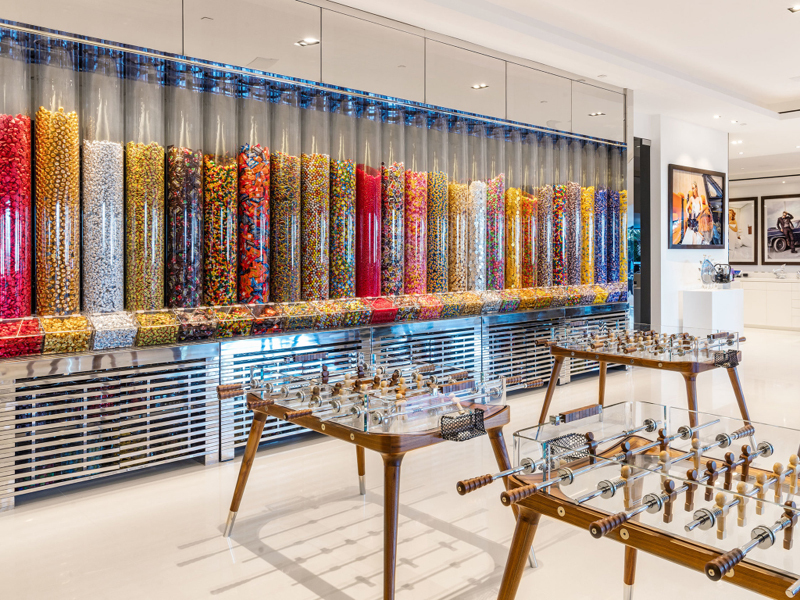 There's also a game room with an entire wall of candy. There was no design idea too expensive or too lavish for this home. 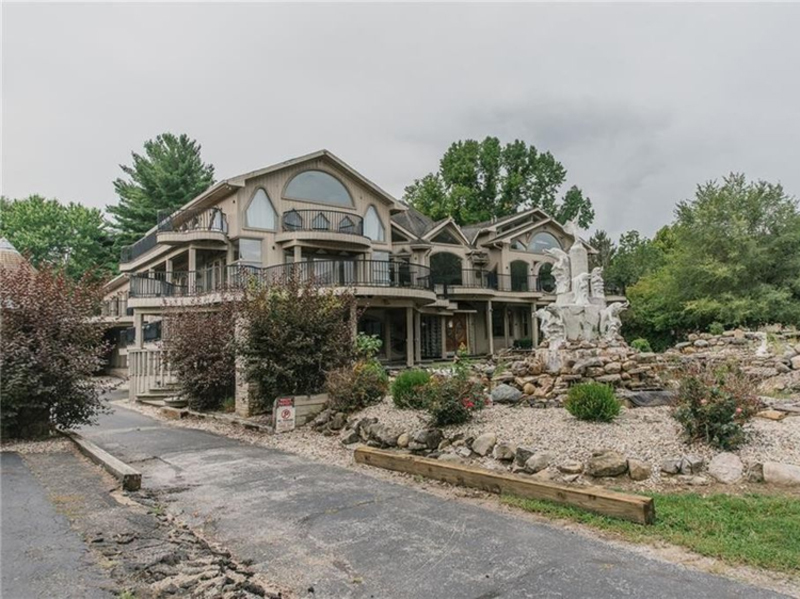 A mansion in Indiana has been dubbed "the ugliest house in America." The house has been on the market several times over the years after the original owner, Jerry A. Hostetler, went to prison. 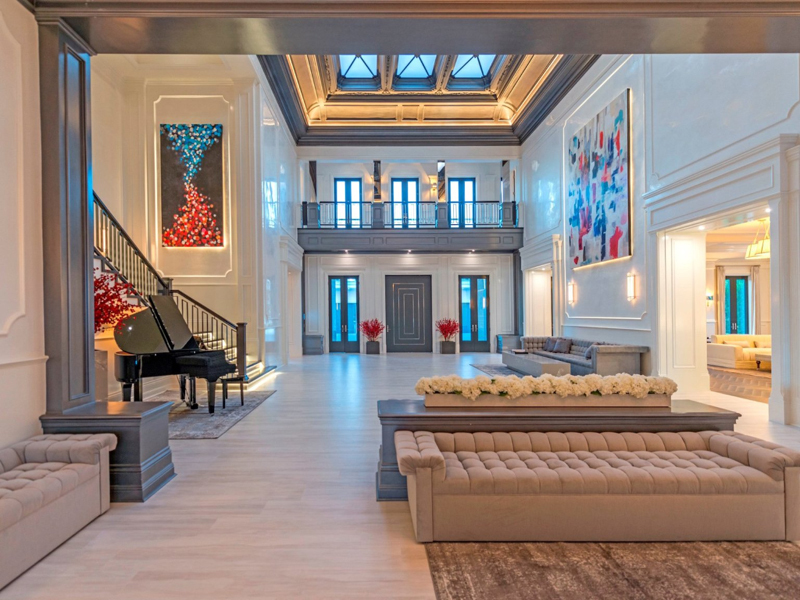 The 29,500-square-foot home has been criticized for its unique, lavish furnishings. Buyers have struggled to connect with the former owner's design choices. ABC News called the home "unsellable" as it's been on the market seven times in five years. 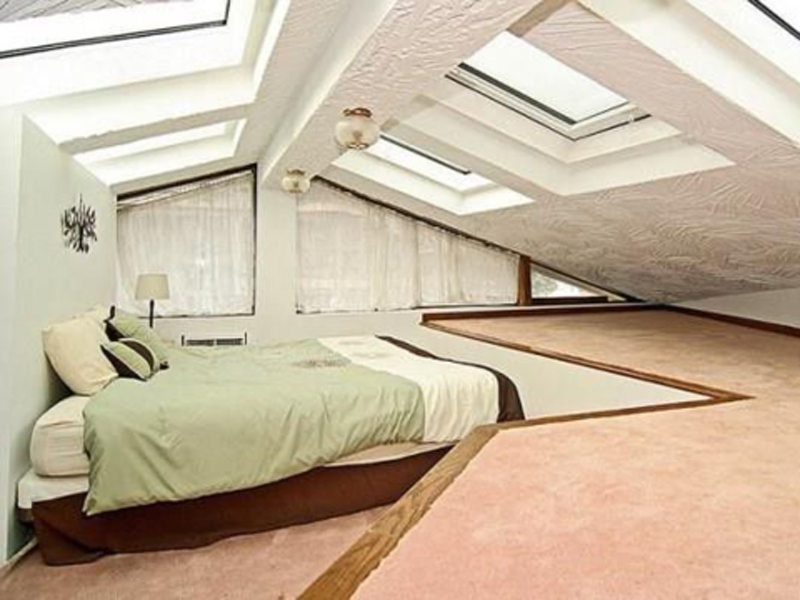 The designs are also matched with even weirder construction — like this bedroom. The home has been described as "a gaudy, enormous mansion featuring ballrooms, imported fountains, gargoyles, and a stone grotto hot tub" by Fast Company. In some rooms, stone sculptures meet interesting and grandeur patterns that do not match. "The sheer plethora of patterns and textures jumbled together in each room makes it difficult to know where to rest your eyes," Fast Company wrote about the house. "In some rooms, the oddly shaped windows and stained glass don't appear to let in much actual light, and just about every room contains its own staircase. It can't be easy to navigate a house cobbled together piece by piece as Hostetler bought up the different properties around him."